Like/Re-blog this on Tumblr plz! Commission for I always enjoy drawing dragons! This is a wyvern? I thought wyverns were supposed to have poisonous barbs on the ends of their tails. Don't get me wrong; the piece is fantastic! I was just curious about that. They don't have to. 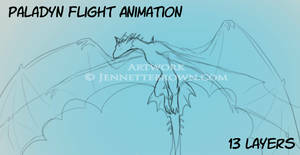 Technically people consider dragons where the wings are their arms as Wyverns. That's what classifies it as that type of dragon. They can have any manner of features, just that one criteria makes them a Wyvern or not. Oh, ok. Thanks for clarifying. I was only asking because, in a how-to-draw-dragons book I have, it classifies dragons and wyverns as two separate creatures with some distinct differences. Same thing with dragons and drakes. Yah there's a lot of debate in that. I think Wyverns are a type of dragon. Kind of like how there's an Eastern dragon that's distinct, Western dragons, etc. To me their all dragons; lizard like creatures that fly. Oh, I see. Yeah, that's how I see them, too. Thanks for explaining! And thanks again for sharing! As the others have said, she's gorgeous! Thanks a bunch Sugar! I do love dragons, but I wish you still loved werewolves. Mm, the good ol' days. I'm still paid to draw them. That'll never change. Of course. I remember when you made up your own characters just for the heck of it. Well now my characters are slightly different. I really wish people would stop complaining about it, to be honest. I get complaints consistently every week, and its tiresome. I don't constantly bug artists I admire and tell them they should draw more x and y. I just move on and find other artists that draw what I love. I'm loyal to the art, not the artist. Wish people would respect my wishes and move on. I wasn't complaining, I was stating facts and my personal opinion. If you take my comments as rude, then I'll shut up, easy as that. I'm simply stating that the older days were fun days, I am not complaining, I am merely stating this, nothing more, nothing less. I'm not saying you're rude. You're fine to express your opinion (although I'm pretty sure this isn't the first time you've mentioned missing my werewolf art) which is why I decided to let you know my opinions on it.